Northbrook Park is a Grade Two Listed, 18th Century manor house that features superb architecture and is surrounded by 120 acres of magnificent gardens and parklands, boasting views of the rolling hills across the Surrey countryside. Upon arrival you are treated to the impressive and extensive gardens that surround this amazing venue, along with the beautifully elegant Peacocks that can be found wondering around the grounds throughout the year. The stunning Vine Room within Northbrook Park features marble flooring, large bay windows creating lots of natural light and the intricately detailed chandeliers. The newly refurbished Orangery offers scenic views of the secluded gardens and surrounding countryside and is a wonderful place for the wedding breakfast and evening reception. 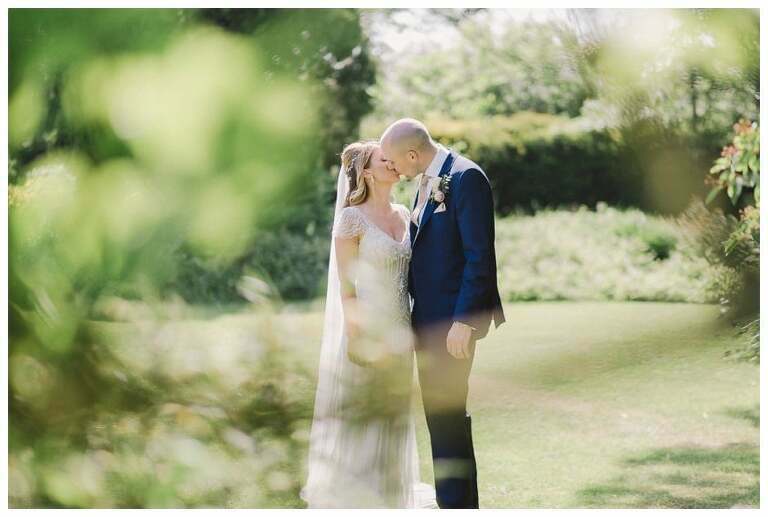 Within the impressive grounds at Northbrook Park are two walled gardens that make the perfect setting for mingling in the dappled shade of the tall trees and ivy clinging to the red brick walls. It was such a pleasure to spend this warm Summers day photographing Jenny and Tom’s wedding. They’re a lovely couple and it was a real privilege to be able to capture their special moments on this fun, happy and memorable day. Here are a few of my favourite images. Enjoy!